How To Train Your Dragon 3 Ticket, $10 Off on Fandango! 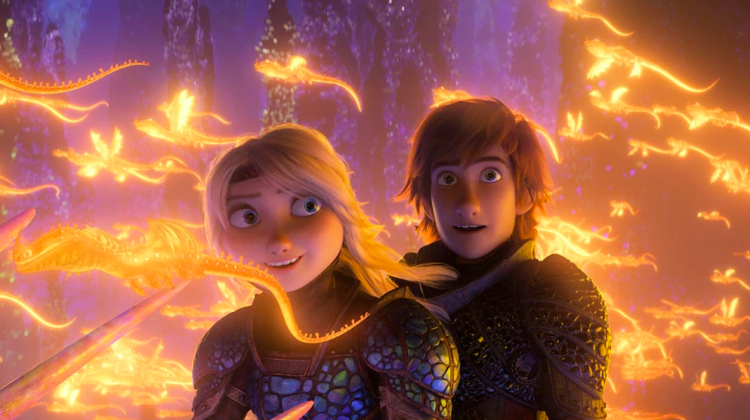 Take the kids to see How To Train Your Dragon 3 and save big on your movie tickets! Sign up for a brand new TopCashback account and save $10.00 on your How To Train Your Dragon 3 ticket on Fandango. Just follow the steps below to buy your ticket, and within two weeks, you’ll get $10.00 cash back. Click the “Get Offer” button, and it’ll take you to Fandango. Add any item or items that total $10.00 (excluding sales tax and shipping) to your cart and check out as normal. Once you check out, in about 14 days, $10.00 will post in your TopCashback account. Transactions must contain a total amount of $10.00 (excluding tax and shipping) from Fandango to ensure $10.00 cash back is credited to TopCashback accounts. If the item(s) purchased do not reach $10.00, the cashback amount awarded will be 1% or less (depending on the item(s) purchased), instead of $10.00. up next: KitchenAid Steel Cutlery Set, Only $64 at Macy’s (Reg. $170)! The post How To Train Your Dragon 3 Ticket, $10 Off on Fandango! appeared first on The Krazy Coupon Lady.